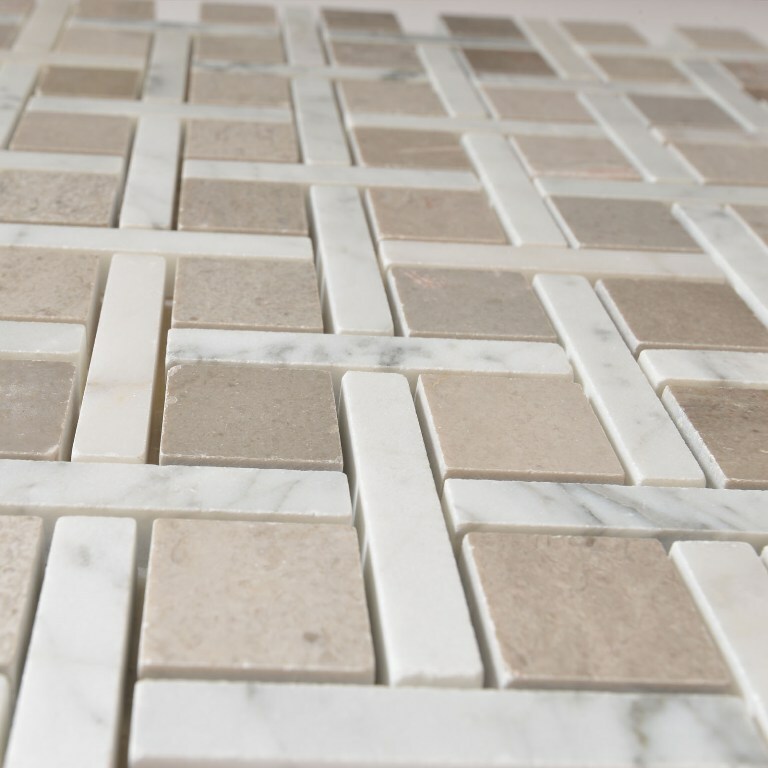 Add a splash of contemporary styling to your decor with the Carrara White Zanger Checker 12x12 Polished Mosaic. This attractive wall tile features strips of marble tile in a pattern on a 12 in. x 12 in. mesh sheet that makes installation a breeze. With trendy gray shades of natural polished marble in a unique, woven 3D look, this tile creates a distinct pattern for kitchens, bathrooms and other residential or commercial spaces. This basketweave mosaic is a blend of Bianco Cararra Marble rectangles and Valensa Grey Marble squares. It's a very subtle piece that goes well with many marble tiles. This marble mosaics feature a basketweave with a twist. Instead of the standard mix of small squares and large rectangles, the rectangles and squares swap sizes. The large square creates a grid-like effect. Thus, the mosaic's design is clean, straight, and orderly.